ISTE Board of Directors:<BR> Let your Choice & Voice be Heard! Let your Choice & Voice be Heard! ISTE Board of Directors Election Now Open! VOTE & Let your Choice & Voice be Heard! I was surprised recently to learn that with over 20,000 ISTE members worldwide only about 10% exert their right to vote for the association leadership. Being voted to the ISTE Board of Directors just last year I take a whole new view on my responsibilities and the honor to represent our membership. You! I am your voice to ISTE! I am in your corner & here to make sure some of the corporate types in the boardroom remember the classroom teacher (and the teacher-librarians) who are actually out there in the trenches! I serve you at your pleasure. If you have a concern, or something you want me to convey to the board - email me! (links on the right of this blog) Baby, I keep it real...cause you know that's how I roll. ISTE board members are regular people from around the world who volunteer their time to speak up for all of us - so that every area (hopefully!) can have representation. I was elected to represent PK-12 teachers - truly an honor and one I don't take lightly. If you are an ISTE member all you have to do is to login to the site & go to the Election Page and read about all the positions & candidates and click to vote! I also Google each candidate to see what their web presence is like, what kind of things that they have done, if they are are on Twitter, and how web savvy they are. Because you know IMHO...this is ISTE...if you're running for the board don't you think that when Googled you should have more than a Linkedin page? Just sayin. "Register by March 31 to get in on the last days of Super Early Bird registration—the lowest conference rate! Just $330, or $235 if you’re an ISTE member current through June 29 ($70 savings off the full conference price). 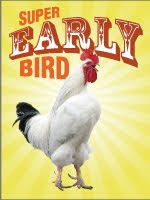 ISTE 2011 is the premier ed tech event of the year, with hundreds of sessions that will get you crowing. Search the program and see what we have for you. Be an early bird. Save some money. It’s super!" Battle of the Sexes & A Whole New Game Show! 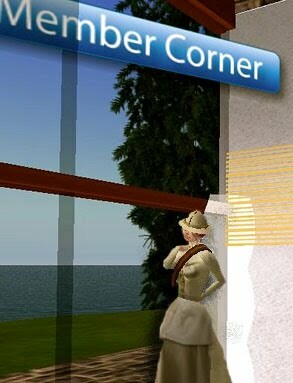 Top Photos taken on ISTE Island in Second Life. 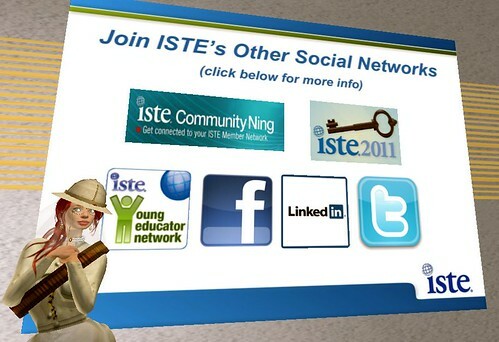 All other graphics from the ISTE website and the bottom one from our preso in Philly!